Would you like to encrypt a PDF? 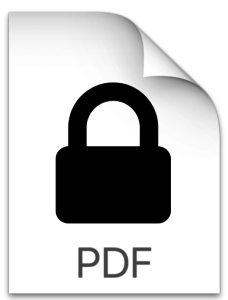 Encrypting a PDF can be handy if you want to protect sensitive data contained in a PDF that you store on your Mac, or before you share the PDF via email, Dropbox or via some other means. 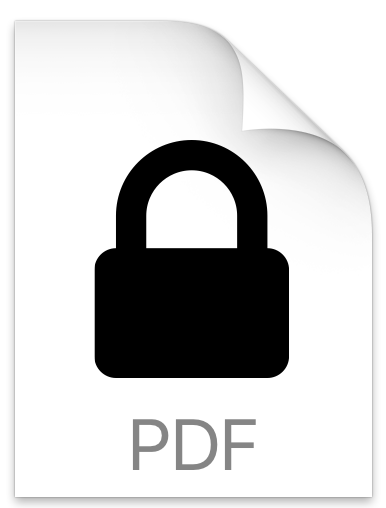 Encrypting a PDF can be accomplished easily using Apple’s Preview application which comes bundled with every Mac. Once you’ve encrypted a PDF, when you look at its icon in the Finder, you’ll now see a padlock icon which indicates that it’s encrypted. Click on the File menu select Export, make sure the Encrypt box is not checked. You’ll be creating a new copy of the file that is not encrypted. You can then throw away the encrypted copy. Read more about encrypt, mac, PDF.